Baltimore, MD — “It’s not often police speak out against one of their own, but we are all truly appalled,” said a Baltimore police commander after two were witnessed holding down a dog and slitting its throat. However, all that sentiment has recently changed, and this once villainous rogue cop is now a hero thanks to Baltimore Circuit Judge Melissa M. Phinn. In June of 2014, Sarah Gossard’s dog, Nala escaped through a gate in her backyard and ended up in Brewers Hill where the dog would bite a woman, leaving a superficial wound. The woman then, regrettably, called 9-1-1 to have police capture the dog. Shortly after the call, Nala was captured by Officer Thomas Schmidt and Officer Jeffrey G. Bolger. Schmidt and his partner would later be charged with animal cruelty after witnesses watched him hold the noose around Nala’s throat while Bolger sadistically went in for the kill. Gossard was searching for the dog and posting photos of her beloved pet to local Facebook groups when the killing occurred. The dog was also wearing tags with Gossard’s phone number that they could have easily called after they had caught her. “Unfortunately, at some point after the dog was contained, one of our officers used a knife and cut the dog’s throat. This is outrageous and an unacceptable breach of our protocol,” Baltimore Police Deputy Commissioner Dean Palmere said after the killing. Sandy Fleischer, the woman who was bit, said the dog seemed thirsty and disoriented, and blamed herself for how she had approached the animal. After the incident, even the Baltimore Police Department expressed their horror, something we almost never hear with human victims. In January 2015, all charges were dropped against Schmidt, but the Gossard family maintained hope that there would be justice for Nala as the charges against Bolger remained. 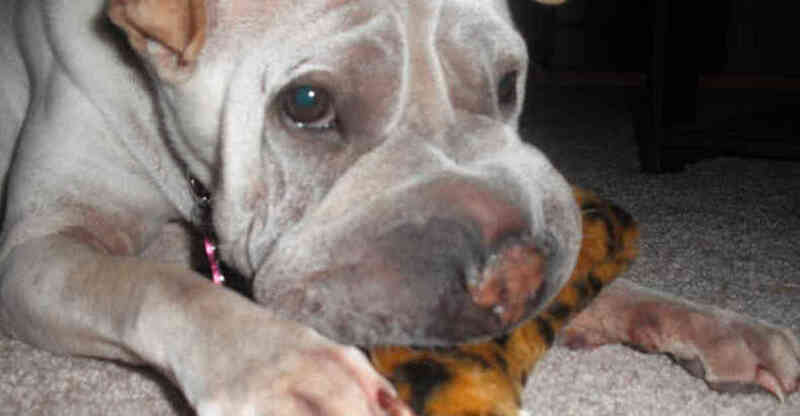 However, this week, any hope for justice was lost when Judge Phinn ruled that prosecutors failed to prove Bolger was criminally responsible for the death of the 7-year-old Shar-Pei. Just like that, a vicious animal cruelty charge was transformed into a heroic act, conducted in the interest of public safety. To make matters even worse, under the police union contract, Bolger is entitled to receive back wages for the period he was suspended, from June 2014 to March 2015. Now, this sadistic dog killer will receive $45,000 in back pay from city government. Imagine, for a moment, if Schmidt and Bolger were not law enforcement officers when they placed a noose around a Shar-Pei as she screamed and cried in pain and neighbors watched in horror as they opened her neck with a knife. If they merely claimed they were “saving the dog,” would a judge rule that they were acting reasonably? Not likely. Sadly, this is just one more example highlighting the fact that there are two separate legal systems in America — one for government and their friends — and one for everyone else.